Our relationship with food can be complex and the festive season is likely to be a time when the deep-rooted entanglement between food and emotions rears its head. Stress, complicated family dynamics and overwhelming gastronomic stimuli can cause us to fall into unconscious ways of eating. Maybe that manifests in overeating – swiftly followed by dieting. Or beating ourselves up if we feel we may have given in to temptation and sullied our ‘clean’ palates. In an ideal world we would all practice the ancient Japanese art of Hara Hachi Bu, (most famously practiced by the Okinawans of Japan who are renowned for their longevity), which advises people to eat until they are 80% full. 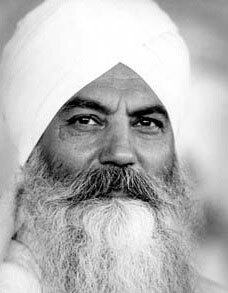 Or alternatively if you can catch the urge to overeat before the deed is done, then Yogi Bhajan suggested left nostril breathing, holding the breath at the top of the inhale and the bottom of the exhale for as long as you can. Even 3 minutes of this pranayama would give you enough ‘breathing space’ to become aware of your actions and take the heat out of the situation. Eating sweet foods is of course a huge part of many of our Christmas festivities and the problems of excess refined sugar intake are well documented. As well as sugar being massively addictive as it releases huge amounts of dopamine in the brain, there are further issue with it: The first is that once absorbed, sugar is broken down into glucose and fructose and the excess is stored in the liver. If stores here are full, then the residual is converted into fat stores, which is why high sugar intake coupled with a sedentary lifestyle can lead to obesity. The second is that sugar is quickly absorbed and can raise blood glucose levels. This can lead to the highs and lows in energy levels and mood that are often associated with sugar intake. And the third is that if blood glucose levels are often erratic, then insulin receptors on cells become immune to stimulation. This can lead to insulin resistance and eventually diabetes. However, happily it is actually possible to make, eat and share truly delicious treats that are also nutritious to eat. The ‘Raw Chocolate Guru’ and Yogi, Danny Bridgeman promotes the making and eating of raw chocolate treats with the motto ‘share the bliss’. I have been lucky enough to sample Danny’s ‘sweet treats’ and can attest to both their scrumminess and their high vibration – they leave you feeling energised and totally satiated. Here he is enticing us with one of his latest creations! There are several recipes that would make perfect Christmas treats or gifts with the simple addition of Christmas spices. This year, I am looking forward to some delicious kombucha – my partner tells me that his latest brew is like a fine wine! As well as being a wonderful alternative to sparkling wine during the festivities (please note that the fermenting process does produce trace alcohol – around 0.2 – 1.2 %), it is absolutely packed full of goodness. Having good gut bacteria is paramount for both healthy digestive processes and essential for balancing the immune system. Most of us are familiar with probiotics but prebiotics are equally important as they feed the good gut bacteria and kombucha is a prime example. You can buy bottled kombucha but ideally, try home brewed. You can get a kombucha scoby or ‘mother’ to start you off online but even better would be to get it from someone that you know and spread the kombucha love! So as I raise a glass of Kombucha to you all and tuck into a divine and wholesome chocolate treat, I wish you all a very merry and healthy Christmas and New Year!